Here is the last part of the first scene that I began posting two weeks ago. Lucas tossed the empty bottle into his neighbor’s chair and began searching the house. “Kimberly! Jax! Junebug!” His heart, which was already hammering in his chest, doubled its pace. Sweat streamed down his face and back. He scanned the two guestrooms and the bathroom connecting them. He checked their game-room and instinctively grabbed a pool cue from the rack on the wall. A muffled yelp came from the bedroom at the end of the Waldon’s central hallway. Lucas ran through the doorway and listened for the sound again. Another cry came from the closet. He yanked the door open and his mouth dropped open. His family sat huddled in a small circle, their hands bound behind them and mouths gagged. His wife’s eyes widened and something hard crashed into the back of Lucas’s head, turning everything dark. This week, I simply wanted to release a few paragraphs of a fantasy story that I am currently working on. If it were to ever be published, it would actually be the beginning of the second book in a series entitled “The Sea-Wall”. The wind and snow assaulted the small, wooden cabin. Each gust threatened to separate the old timbers that made up the walls and roof. Ben and his family snuggled deep under their bed covers seeking warmth, but only managing to frustrate their tired bodies. Just as the family patriarch was nearing sleep, a loud rap came from the front door. Ben slowly cracked one eye open and peered into the darkness. He waited a few seconds, hoping the sound was just a rogue branch blown by the wind, or perhaps a wayward owl, lost in the blur of a night blizzard. He counted to five and was about to drift off to sleep when the knock came again. Ben covered himself in a giant bear skin and stumbled out of bed. The icy-cold floor bit into his feet and he moaned loudly. The knocking continued, growing in intensity. Ben hobbled through the modest den and grasped the brass knob, wincing as the metal stung his palm, and ripped the door open. On the narrow stoop, covered in a thick blanket of bright snow, was something that resembled a human figure. After a few moments, a thick walking staff appeared out of the whiteness and pushed an ice-covered hat upwards. A pair of deep-blue eyes, deeper and bluer than the waters of the Sea-Wall (not that Ben had actually ever seen the Wall in person), opened. The eyes belonged to a trouble-worn face, and Ben took a step back as a bushy set of grey eyebrows furrowed over them. The man leaned forward and fixed Ben with a fierce gaze. “It’s time to repay your debt,” he said. I’m starting this goal of writing at least two hundred words a day. Sickness, health, richer, poorer, hell or high water, I’m going to write two hundred words a day, and more if I can wring them out. I will not worry about cohesion, plot, punctuation, spelling, long sentences, short sentences, or run-ons. There will be at least two hundred words a day. I may be tired, sick, sick and tired, giddy, depressed, busy with grandkids, busy with grown kids, busy with no kids. I may be so down I can barely drag my self out of bed. On the road, on the high seas, hidden high up on a mountain top. In a crowd, or all alone, I will put down two hundred words. The purpose of this two hundred words a day journal is to get the words flowing again. Words are like blood cells. They tend to stick together and close up portals where they might flow out and land on the pages. Like beautiful flower-shaped blotches of blood stains, words on the pages are soothing and sweet smelling, even when they’re dark and scary. So this is my goal. For the next six weeks, I will get at least two hundred words a day added to this journal. Once October 31 is over and the Halloween decorations disappear, I begin to realize the year is almost gone. Thanksgiving is upon us, and while I have bought my Christmas cards, I haven’t addressed one. Black Friday is two days away and I have to work. Just think of all the money I will save because I’m not at the mall. I’ll be on vacation Christmas week, and I plan to write. Before all the real hustle and bustle begins, I’d like to take a minute to sit back and think about all my blessings, and to thank those who add so much to my life. I’m thankful that I went 65 years without breaking a bone. But when I did lose the battle with the sidewalk, I’m grateful I was not injured as badly as I could have been. I happy the three doctors in the emergency room were kind, and supportive, and good looking. (If you have to be in pain, it’s nice to have something pleasant to look at.) Excellent care and good insurance are bonuses. Think about all the people around the world who are not as fortunate. I’m thankful for my family. I don’t know what I would do without my sisters, nieces and nephews. I also have great in-laws. I’m blessed with good friends. I have enough. While more might be nice, it’s good to have enough to eat, enough to wear, enough shelter. I can read. That might not sound like much, but I have opportunities and experiences because I can read. For this reason, I support programs that encourage children to read. One of my favorite baby shower gifts is a story book. If parents read to their children, the kids have a head start in learning. I have a memoir and a novel in final editing, and a new work in progress. I have a job I love. Of course it’s frustrating and sometimes tedious, but it keeps me on my toes and gives me fodder for new books. There are some real characters around the office. I have faith. Not only do I have a strong religious background, I have faith that tomorrow will be better than today. I have a wonderful critique group and great writer friends. They keep me writing and striving to reach my potential. This is a short list of good things and people who make my life happy and fulfilled. 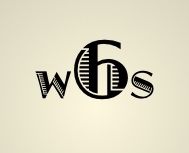 I wish all of you who visit wordsmithsix.com are as blessed and happy as I am. And for those of you who, like me, are working toward that big break, I wish you success. To all of you, may your holiday season be blessed with family, friends, good food, good books, and may your favorite sports team make the playoffs.